Artistic Land : Thumbelina - World's Smallest Horse. The little horse was born to Paul and Kay Goessling, who specialize in breeding miniature horses, but even for the breed Thumbelina is particularly small. She is thought to be a dwarf version of the breed. 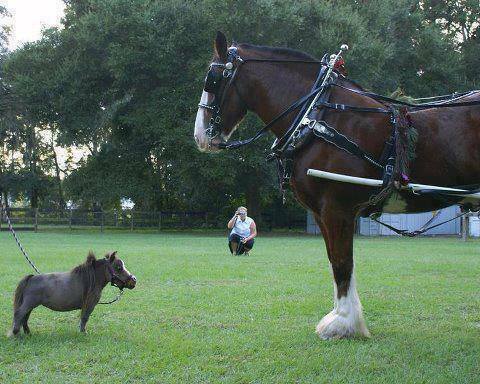 At just 60 lb and 17-inch tall, the 5 year old Thumbelina is the world’s smallest horse.